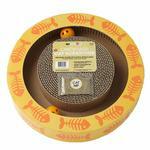 Cats will have a whirl of scratching playtime with the Sylvester's Interactive Cat Scratcher in Yellow! 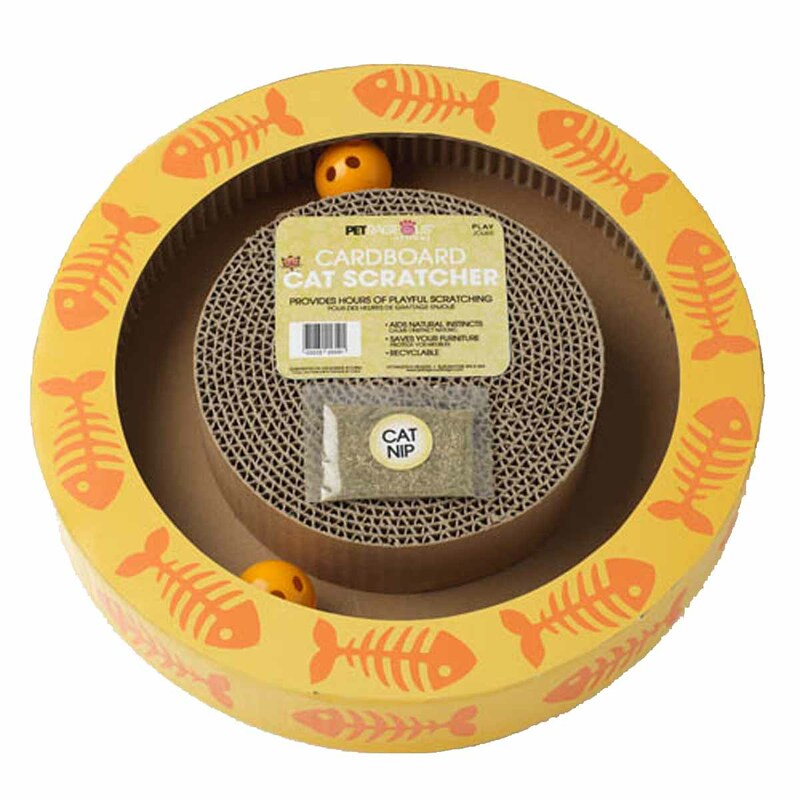 Scratch up some fun with the Sylvester's Interactive Cat Scratcher. It features a fish bones design on the side and two jingle balls inside fr endless fun! Cats will love the interactive jingle ball. Made of cardboard. Includes one pack of catnip. I think Baxterboo is great. The selection of doggie apparel is wonderful and the prices are good. I found exactly what I was looking for and my item arrived in a couple days.